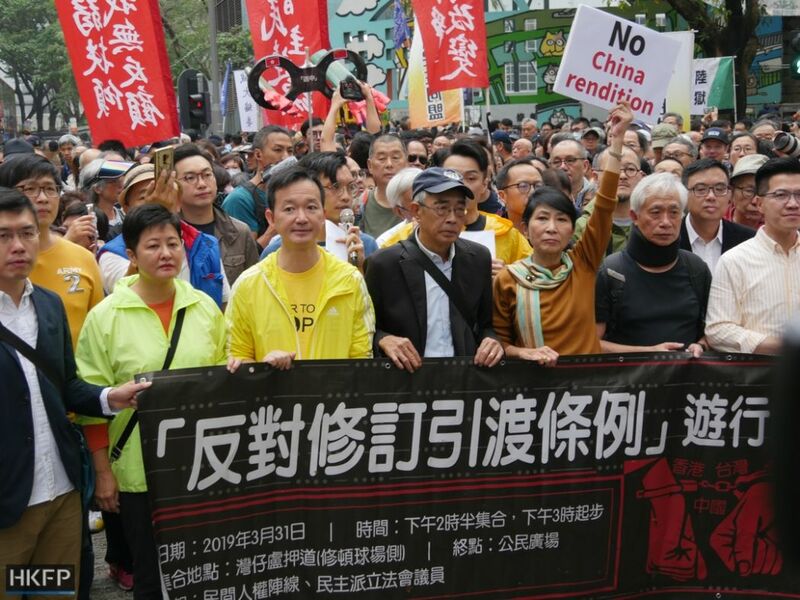 Protesters on Sunday denounced an upcoming amendment to Hong Kong’s extradition laws in one of the biggest demonstrations of 2019. 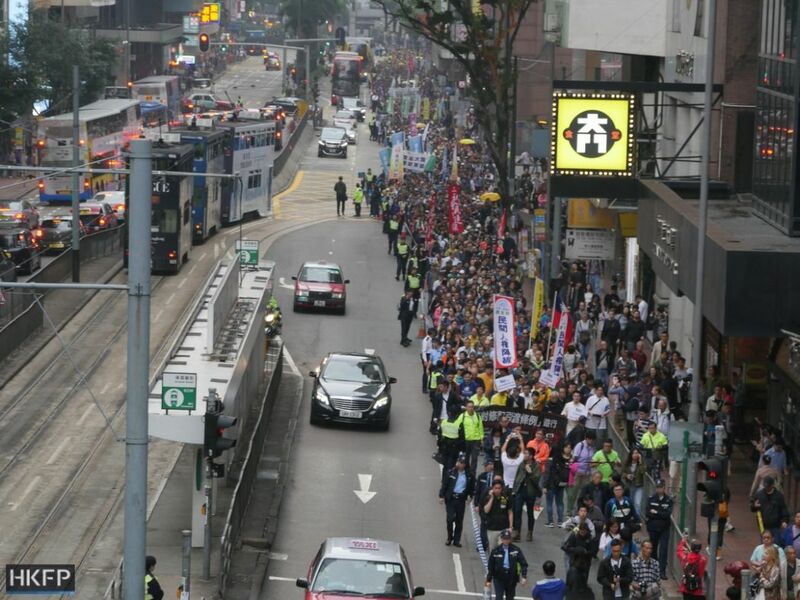 Organisers said 12,000 people took part in the march from Southorn Playground in Wanchai to the government’s Admiralty headquarters. Police put the peak figure at 5,200. Avery Ng. Photo: Tom Grundy/HKFP. 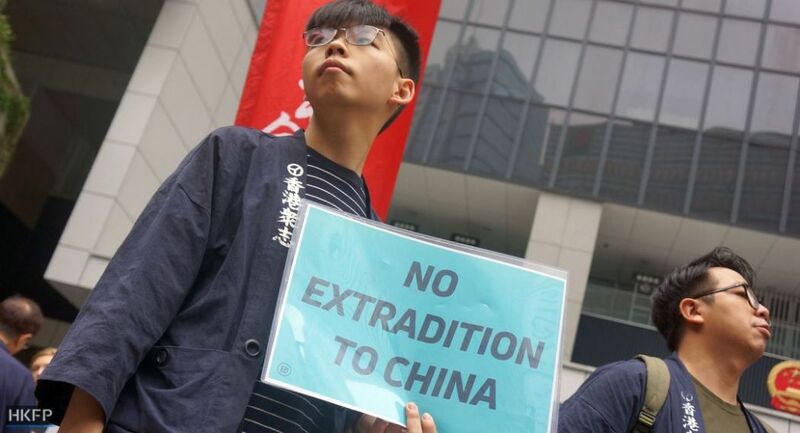 They called on the government to withdraw an upcoming amendment that would allow China to extradite people from Hong Kong. There will be further protests targeting the legislature next week if the government tries to pass the law by force, organisers said. Front row from left: Helena Wong, Ray Chan, Lam Wing-kee, Claudia Mo, Leung Yiu-chung. Photo: Holmes Chan/HKFP. 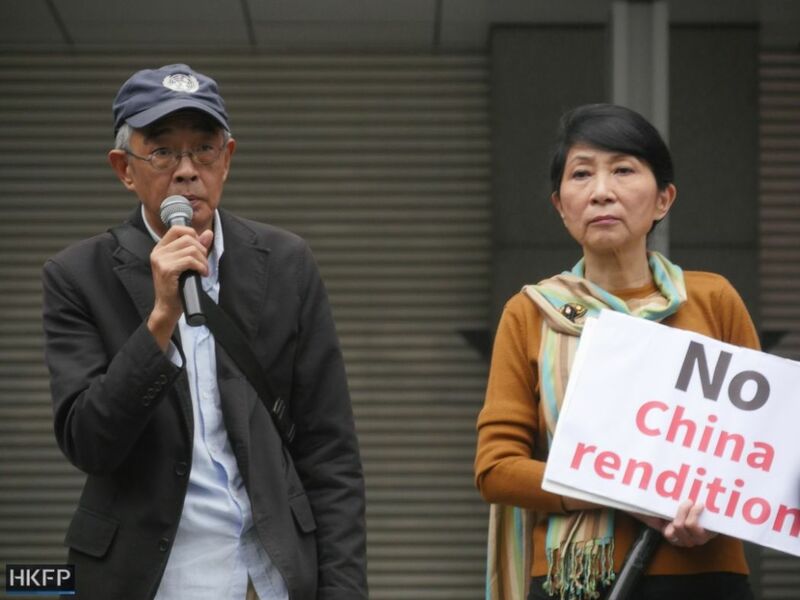 Lawmaker Claudia Mo, who convenes the pro-democracy camp, said that the amendment would have dire implications for not just Hong Kong residents, but also foreign nationals who work and travel in the city. 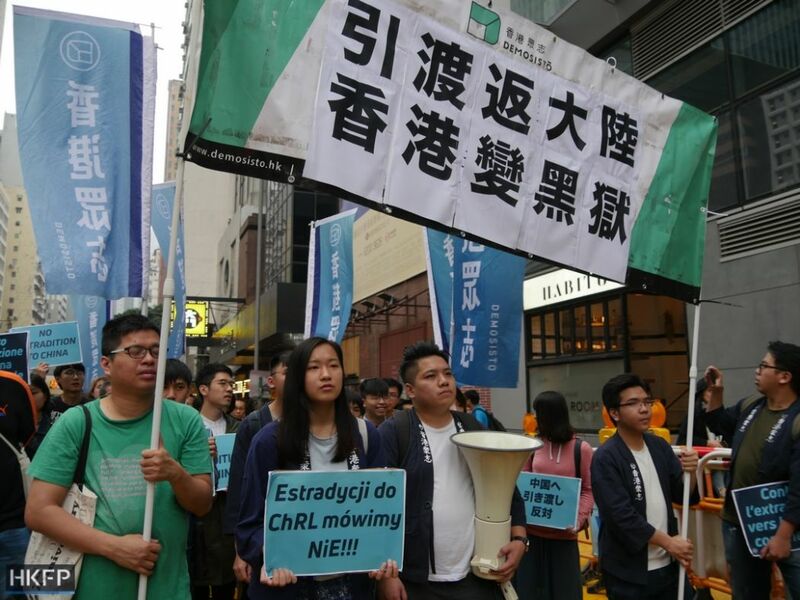 Protesters march against the extradition law update. Photo: Holmes Chan/HKFP. 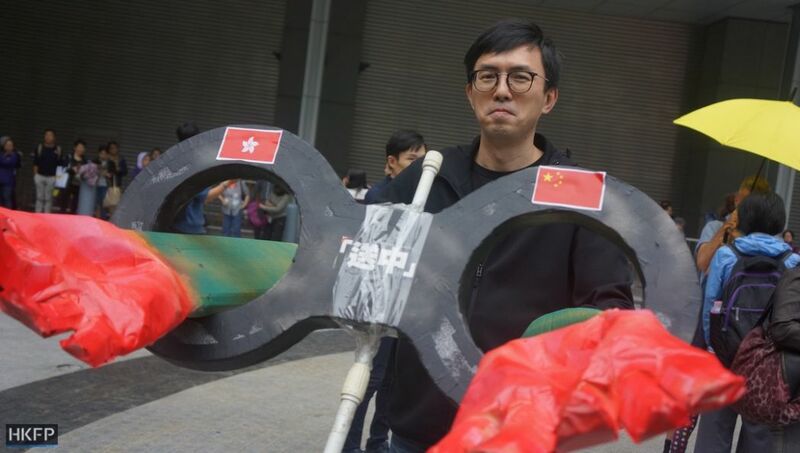 Bookseller Lam Wing-kee, who was allegedly kidnapped when he was detained by mainland authorities in 2015, stood at the forefront of Sunday’s rally, which was organised by pro-democracy groups and the Civil Human Rights Front. Lam was the founder of Causeway Bay Books, which specialised in political gossip titles banned in the mainland. He went missing from Shenzhen in October 2015, only to re-emerge on a Chinese television channel months later “confessing” to the crime of running a business – alongside four other missing booksellers – which “illegally” sent books to the mainland. Lam Wing-kee and Claudia Mo. Photo: Holmes Chan/HKFP. Lam had previously told local media that Sunday’s march would be the final time he took to the streets, as he would leave before the amendment becomes law. 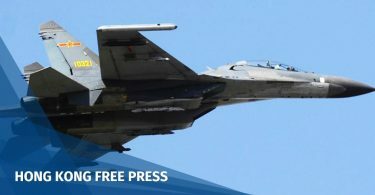 Hong Kong has in the past signed bilateral extradition agreements with specific jurisdictions, but last month, the government proposed a case-by-case system that would allow the city to handle extradition requests from jurisdictions where there were no pre-existing deals – most notably China and Taiwan. The protest march against the extradition law update arrives at Civic Square. Photo: Holmes Chan/HKFP. Secretary for Security John Lee claimed that the move was to plug a legal “loophole,” and that there were human rights safeguards in place so that no one will be extradited due to political crimes. Last week, Lee announced a partial concession in the amendment by excluding nine types of commercial crimes, amid pressure from the business community. The bill will be sent to the Legislative Council on Wednesday, with the government expecting it to pass before July. 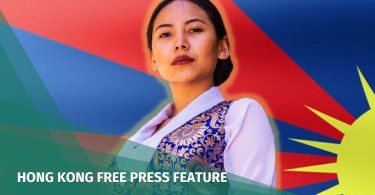 Mo said that the pro-democracy camp was considering calling on the public to surround the legislature on Wednesday in protest. 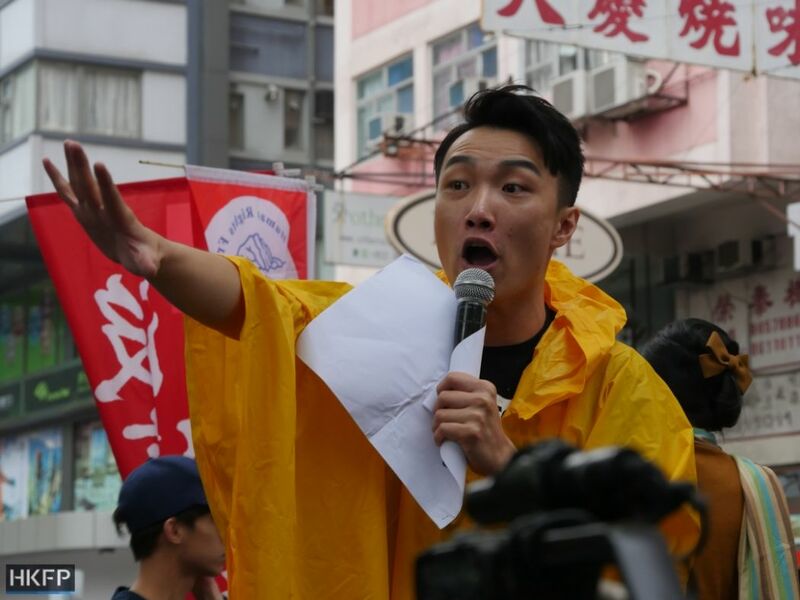 Jimmy Sham, convenor of the Civil Human Rights Front, said that the amendment was worse than the controversial Article 23 of the Basic Law – which states that Hong Kong must enact national security legislation. CHRF convenor Jimmy Sham. Photo: Holmes Chan/HKFP. “Article 23 at least requires the law to be passed in Hong Kong, and people will face trial and be sentenced here. But under the [extradition law] it only takes the chief executive’s signature for a person to be extradited to the mainland, or even North Korea,” he said. “Removing the commercial crimes was just a move to put the business sector on the spot,” he added. 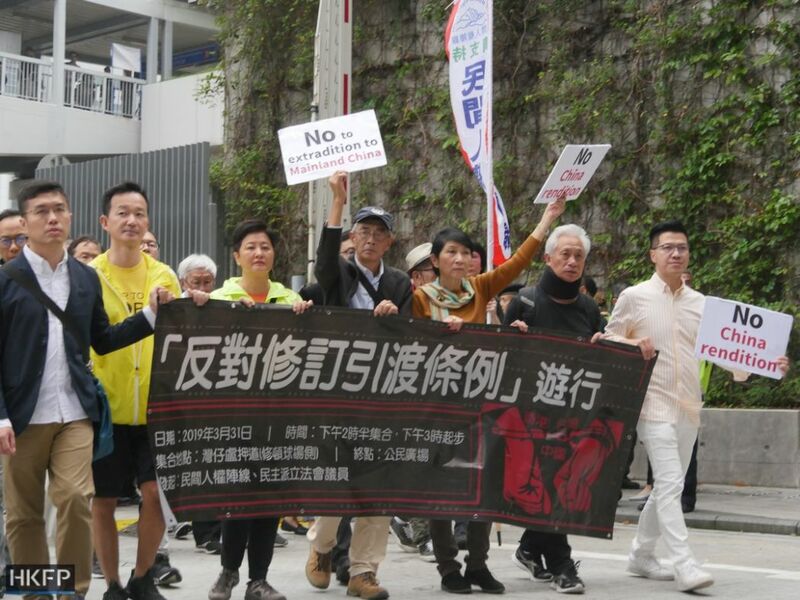 The march saw many high-profile figures from the pro-democracy camp, including Cardinal Joseph Zen, barristers Martin Lee and Margaret Ng, as well as Apple Daily owner Jimmy Lai. Demosisto at the protest march against the extradition law update. Photo: Holmes Chan/HKFP. Younger protesters included the political group Demosisto, as well as representatives from the student unions of four local universities. A small group of people also held pro-independence flags. Mr. Cheung, a 40-year-old parent who brought along his daughter, told HKFP that he had a strong distrust for the mainland’s judicial system. 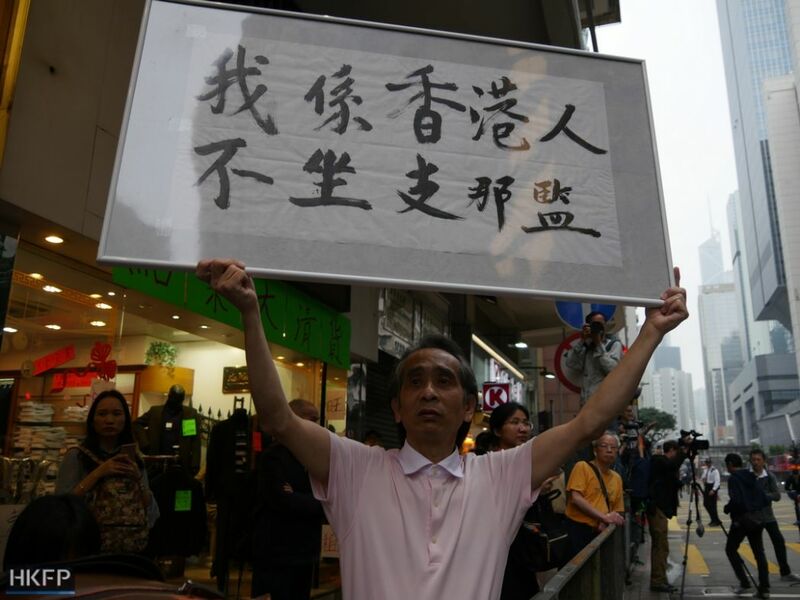 A protester holds a sign reading, ‘I am a Hongkonger, I won’t sit in a Chinese jail.’ Photo: Holmes Chan/HKFP. Last month, Chief Executive Carrie Lam said that the new extradition proposal was intended to plug a loophole in existing law, and the public should not be too concerned.